Two years ago my colleague, Al Norval, and I were wresting with a tough question. How do you make Lean principles visible? Lean thinking, tools & leadership are often paradoxical & counter-intuitive. Moreover, often they contravene accepted 'wisdom', at least as defined in our business & professional schools. I've always loved doodling and my recently-published book The Remedy -- Bringing Lean Out of the Factory, which was full of them. Why not create doodles that expressed Lean fundamentals in a light-hearted, engaging way? We started with a suite of 12 entitled Brain Boosters - Lean Thinking. Ya'll seemed to like them, so we followed up with two more suites: Lean Tools and Lean Leadership. We've been gratified by the response & believe Brain Boosters are a fine addition to the Kaizen toolkit. Plot the results. What do they tell you? 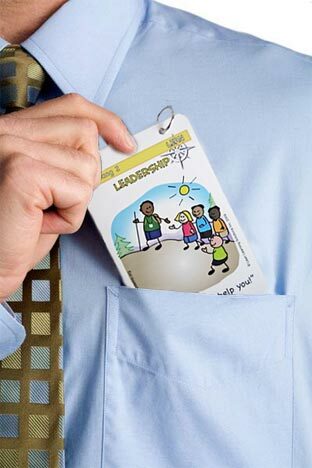 At team huddles, give a card to a team member. Ask her to find examples of both Lean & Conventional Thinking & report back at shift-end. Any learning points? Pass out Brain Boosters at training & kaizen sessions. From time to time people email us with other innovative uses. We'd love to hear more of your stories.